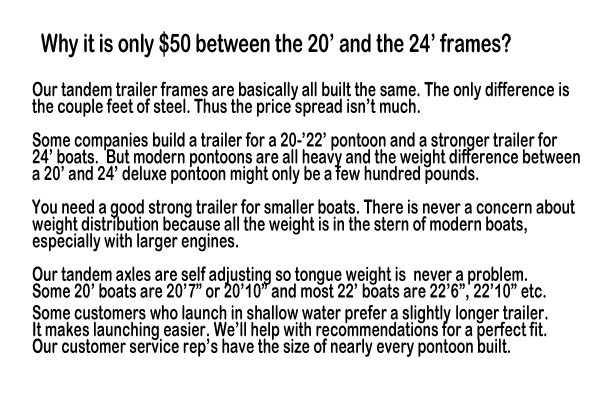 For all your Pontoon Trailer Needs! Two-3500 lb. axle, 4” box tube steel. 11 gauge side frames and 14 gauge cross members, baked on powder coat finish., a 2” coupler, a 1500 lb. 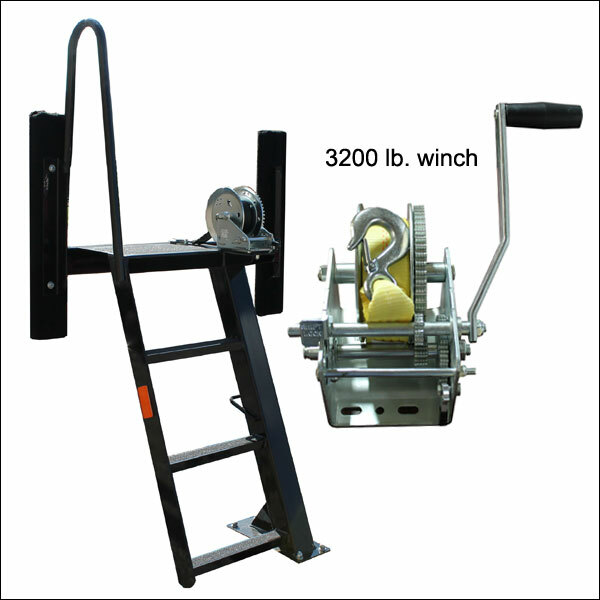 dual wheel swing away tongue jack, front loading winch stand with steps and a handrail, custom style steel fenders with steps, 13” D range radial tires, 5000 lb. carrying capacity, bunks adjust for pontoons 6’ to 8’ 6” wide, modern LED lighting with tail lights, 24’ and 26’ models have “ultra” reinforced bow and stern with 5 cross members trying the side frames together, modern distinctive graphics, marine grade rubber backed carpeting over 2” x 4” wooden bunks), bunks are supported on the main frame cross members. 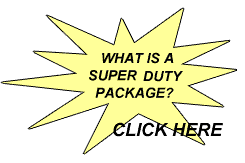 Includes all required D.O.T. equipment; lighting, chains, etc. required for the USA and Canada. Click each image to learn more about that feature. The PT-22T/13 is basically the same trailer as the PT-24T only 2' shorter. 17’ bunks, 26' overall, 4” box tube steel. 11 gauge side frames and 14 gauge cross members, baked on powder coat finish. 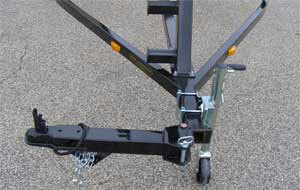 CLICK HERE TO DOWNLOAD CONFIGURE AND PRICE YOUR PMI-22T TRAILER. EMAIL IT BACK TO US FOR AVALABILITY. 19’ bunks, 28' overall, 4” box tube steel. 11 gauge side frames and 14 gauge cross members, baked on powder coat finish. 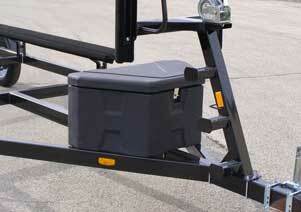 CLICK HERE TO DOWNLOAD CONFIGURE AND PRICE YOUR PMI-24T TRAILER. CLICK HERE TO DOWNLOAD CONFIGURE AND PRICE YOUR PMI-26T TRAILER. 5” frame box tube steel. 11 gauge side frames and 14 gauge cross members, baked on powder coat finish. OUR HONEST OPINION We recognize that many customers don’t want to spend money on brakes. Single axle brakes meet the brake law in most states (except Michigan and Pennsylvania). 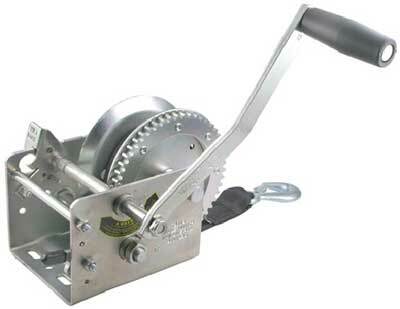 Our 10” single axle disc brakes will stop about 3500 lbs. 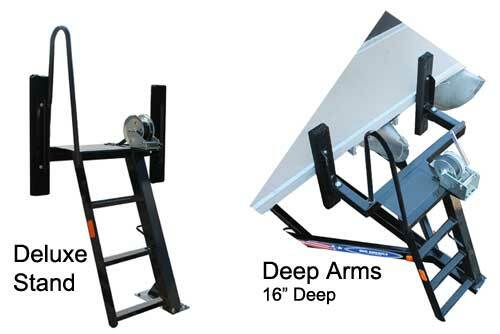 Most modern 22’ pontoons with a motor weight about 3000. 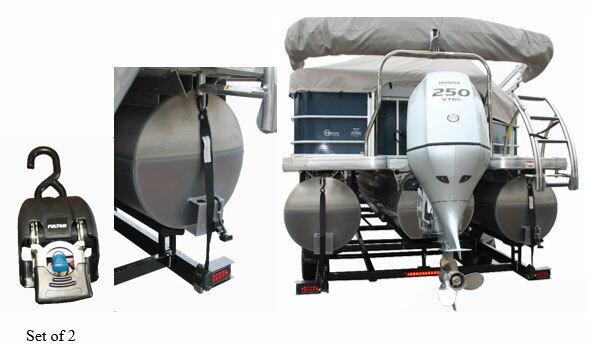 Tandem axle trailers for 22’ boats weigh about 800 lbs. Thus 3500 lbs. of braking might satisfy many applications. If you have a 4000+ pontoon on a 900 lb. 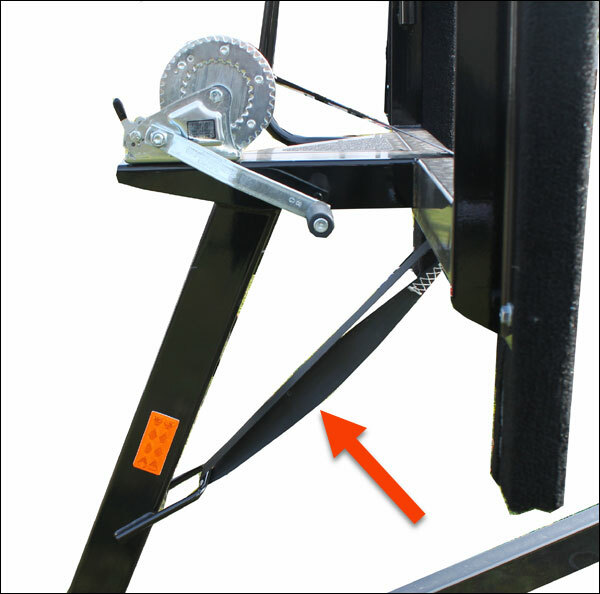 trailer, tandem axle brakes should be considered. It’s the owners responsibility to keep your family safe and meet state laws. We want you to stop, not merely slow down. (in lieu of the normal 1500 lb.) to pull on the heaviest pontoon. 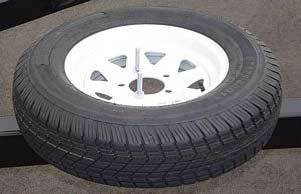 All Tandem Axle trailers include 13” D range radial tires on galvanized rims to increase carrying capacity. 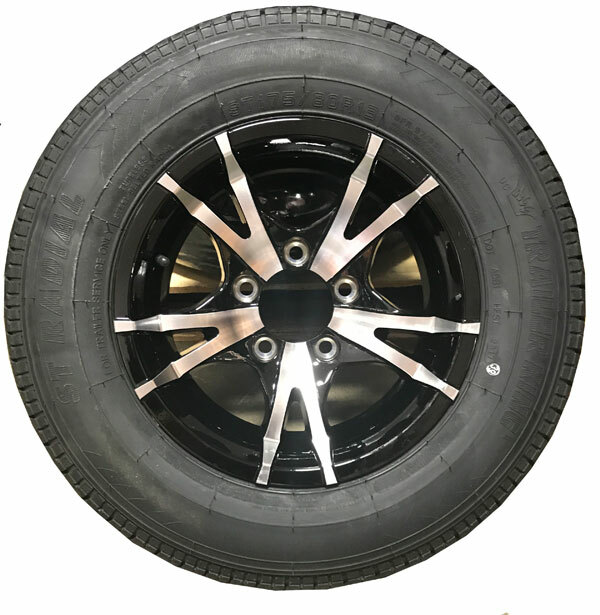 Galvanized rims look like chrome when new and won’t rust around the lug nuts in the future, like ordinary white rims. 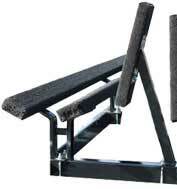 Standard on all tandem axle trailers.